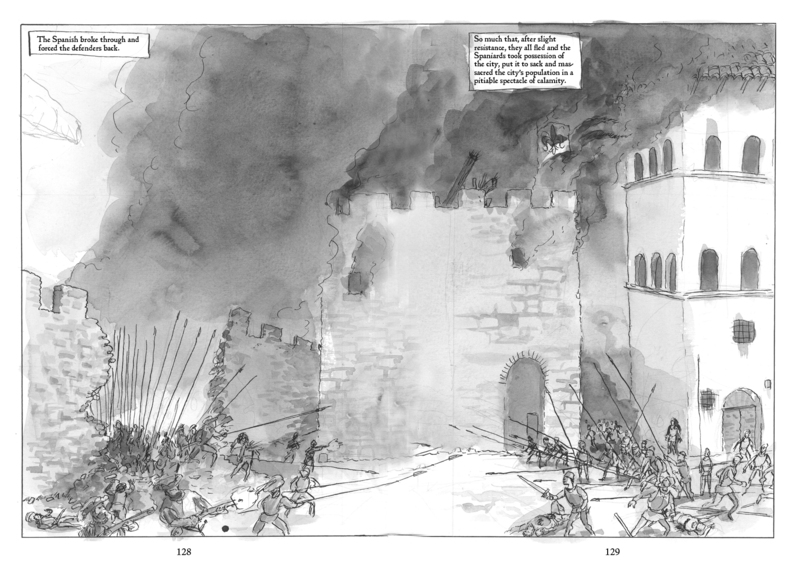 For your enjoyment, a panorama of pages 128 and 129, joined together by the magic of computers. Click on the image above to see it in its full widescreen glory. Enjoy your weekend!